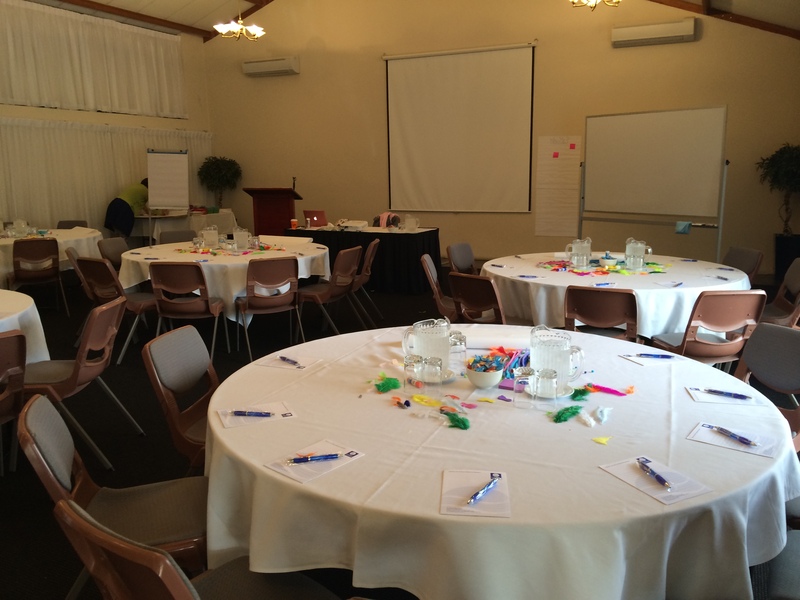 Jenni and I had two days of training set up in Brisbane. 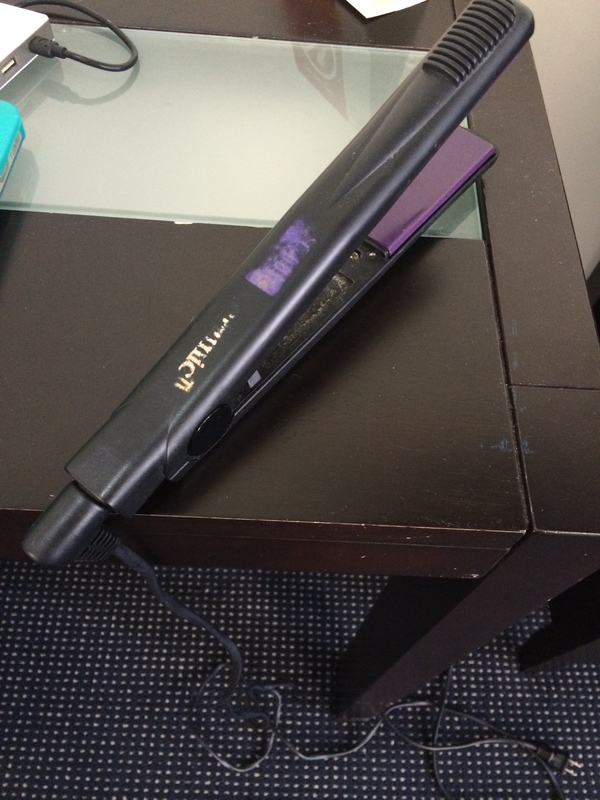 Our day got off to an exciting start when Jenni’s flat iron blew up. Our first day of training focused on assessing school cultures and climates. We set up the room with our usual supplies: chart paper, pipe cleaners, feathers, die cut hands and feet, glitter, and googly eyes. 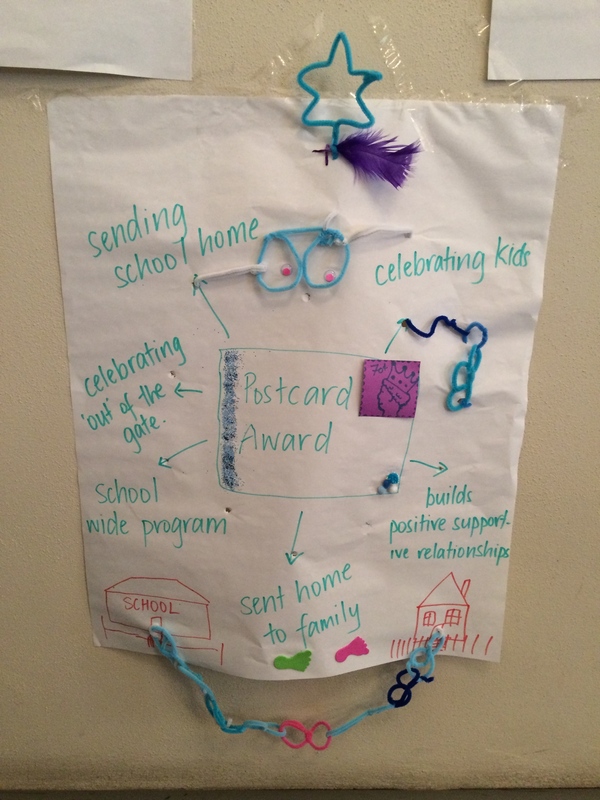 Our participants really seemed to enjoy it and made some really creative mixed media visions of family engagement. One team used their pipe cleaners to create glasses for their googly eyes. 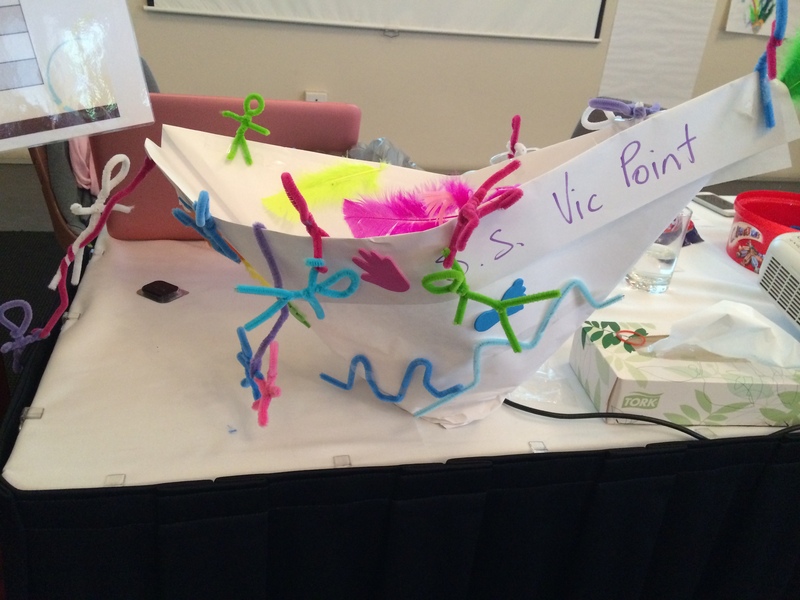 Another team turned their chart paper into a boat with families, teachers, and community members hanging from it, trying to get on board! 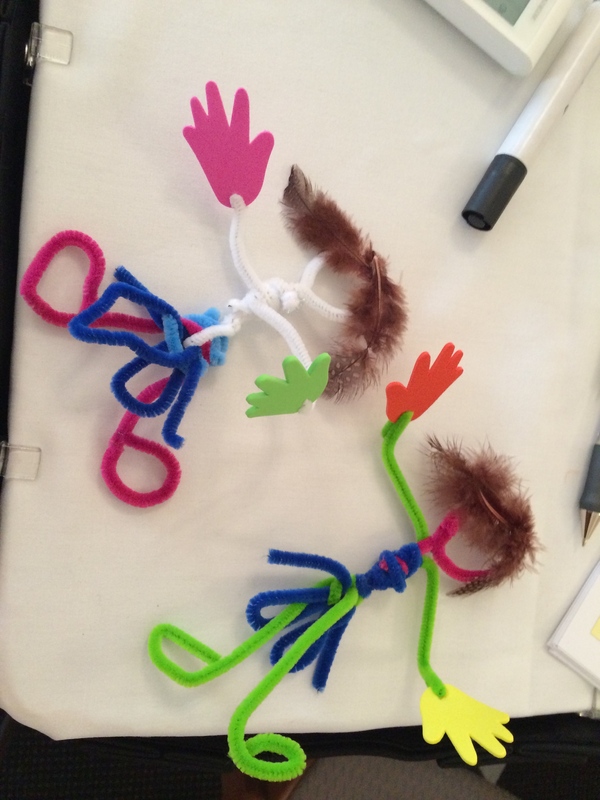 One team used the leftover pipe cleaners and feathers to make a mini me for Jenni and I. At the end of the day, many of the participants who had traveled in from other places and were staying in their own room villa met us for a dinner in the hotel restaurant. I sat at one table and Jenni sat at the other. I’m sure her table was nice but mine was super fun! 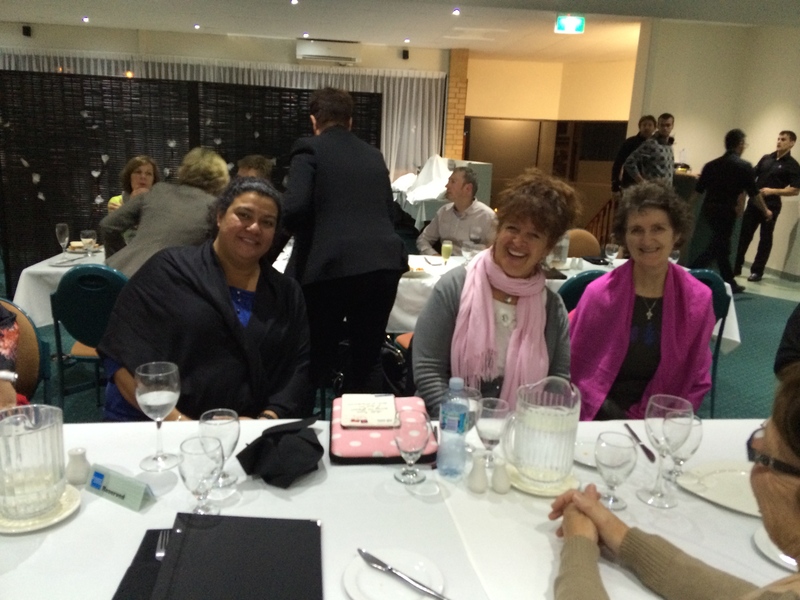 I was sitting in between a group from Darwin, which is in the far northern territories and over four hours away by plane. Also at my table was Anne, a former catholic school teacher/public school teacher. This was lucky for me because the topic for the #ozptchat was #studentwellness and she had some terrific ideas! We had a lovely time before Jenni and I returned to our room villa to prepare for the next day. 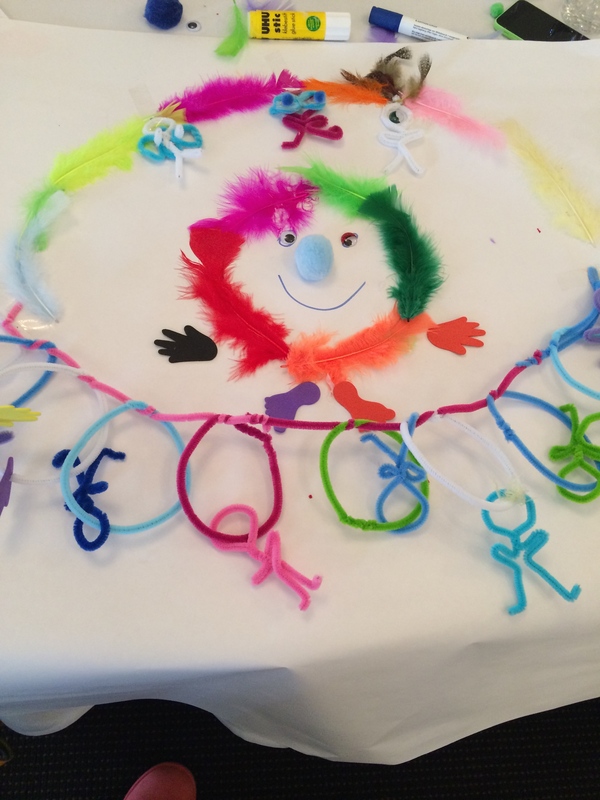 This entry was posted in Getting Around, Life Story and tagged #PTchat, Australia, Brisbane, goggly eyes, International Consultants, mini me, training, twitter. Bookmark the permalink.